No Time (or Plastic) to Waste – Let’s go Plastic Free Together! The Swedish Chamber of Commerce in China is raising the awareness of Plastic Waste. Single-use plastic disposables, including plastic takeaway containers, cups, plates and bowls; plastic straws and stirrers; plastic bags; and plastic beverage bottles, pose a grim environmental problem around the world as plastics do not break down easily in nature. Starting in 2018, we will not use any disposable plastic materials, such as plastic bottles, plastic cutlery etc. in our China workplace. When possible we will use reusable utensils, cups and packaging. By notifying SwedCham that you are accepting the “Say No to Plastic Waste” challenge, you authorize SwedCham to list your company as participant in the “Say No to Plastic Waste” challenge on the SwedCham website and in SwedCham publications. We are hopeful that a high participation rate among SwedCham members can lead to other chambers of commerce and business organization in China accepting the challenge as well! Accept the challenge by sending an email to Martin@Swedcham.cn. The world produces more than 300 million tons of plastic every year, including billions of plastic bottles and five billion plastic bags. 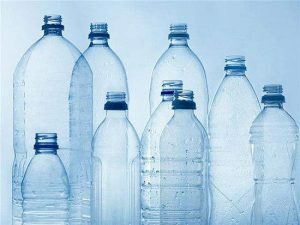 Last year 480 billion plastic drinking bottles were sold across the world – up from 300 billion a decade earlier. If placed end to end, this would reach halfway to the sun. Today China’s consumption of bottled water makes up nearly a quarter of global demand. Since plastic does not decompose, and is for the most part not recycled, it needs to go somewhere. Sadly, huge amounts of plastic end up littering our landscape and our oceans. Natural beauty is being ruined, plastic is entering our own food chain, and entire ecosystems are threatened. In July 2017, China filed a notice with the World Trade Organization announcing its decision to stop importing 24 types of foreign waste and to dramatically tighten its standards for impurities in scrap bales. The government also has announced a plan to completely ban plastic waste imports in 2019. This is a time to take recycling to the next stage and focus on how to handle the domestic plastic recycling and how to cut the usage of non-recyclable plastic. Although we are expecting the Chinese government and producers of plastic products to step up and shoulder their responsibility, SwedCham firmly believes that all of us, as consumers, need to help with reducing plastic waste at source. SwedCham is therefore reaching out to its members with a challenge!